The queen of all points, this is even compared with the Grand canyon of USA by some people, as the layering of rocks here has the slight resemblance to the later. Arthur’s seat has a special place in the Mahabaleshwar tourist for one good reason that it has a commanding view of both the Barren lands of the Savitri valley to one side and the lush folds of green valleys on the other. 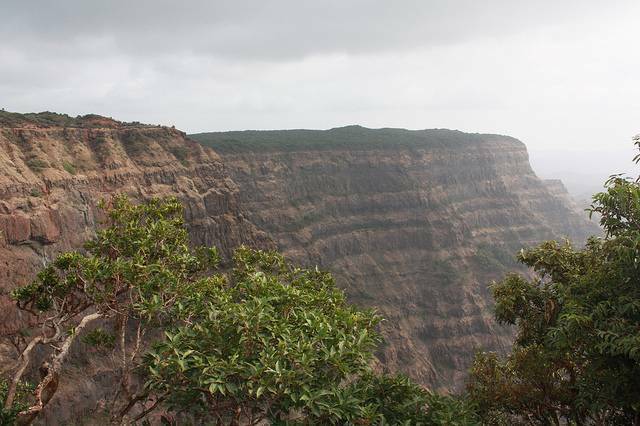 It is also the only place where you can see the clear distinction of Kokan and Deccan territories in Mahabaleshwar. A set of stairs winding down from the point take you to a startling spring called the Tiger springs, which happens to feed the River Savitri. Right below this is the window point which gives some excellent views of the cloud playing valleys ahead. Arthur’s seat was named after Sir.Arthur Mallet, who lost his young wife and child in a terrible accident while climbing this cliff.